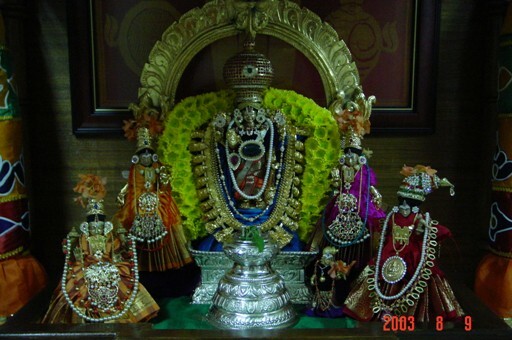 "Alangara Priyan" (one who loves to be adored) previously known as "Athu Perumal's Homepage" is a revemped homapage that hosts photograps of alangaram that were done for my home deity- Sri Srinivasa Perumal. It also contains other information and photograps regarding alangaram. The photograps that are found in this website are meant for personal viewing and are not to be used for other purposes. Please refer to "About this Site" for more information regarding this. Thank You.